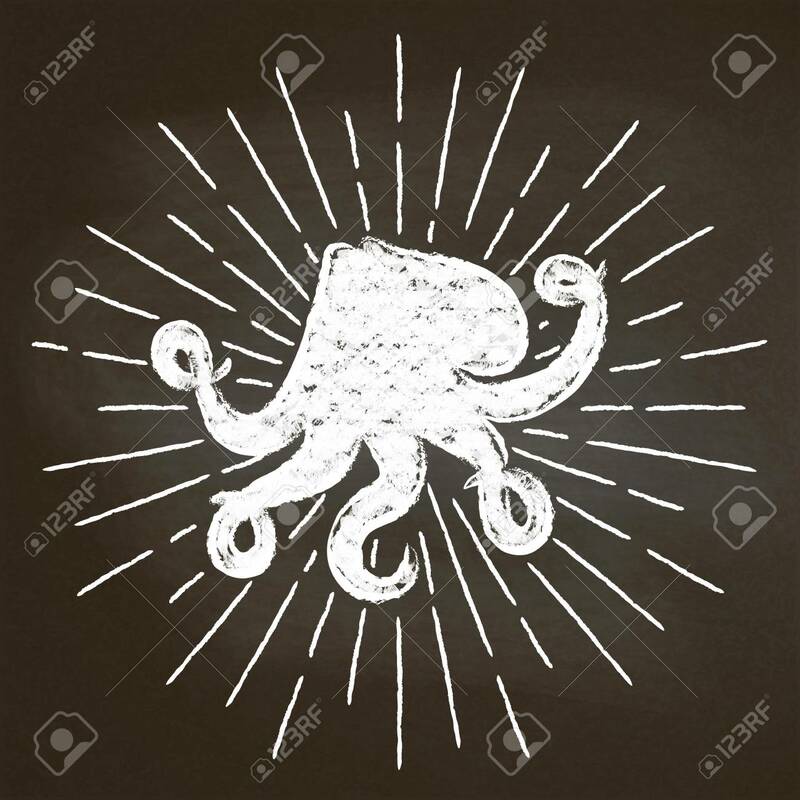 Octopus Chalk Silhoutte With Sun Rays On Blackboard. Good For.. Royalty Free Cliparts, Vectors, And Stock Illustration. Image 106024179.